Over President's Day weekend, my hubs, pup, and I all took a ferry over to San Juan Island for a long, relaxing break. 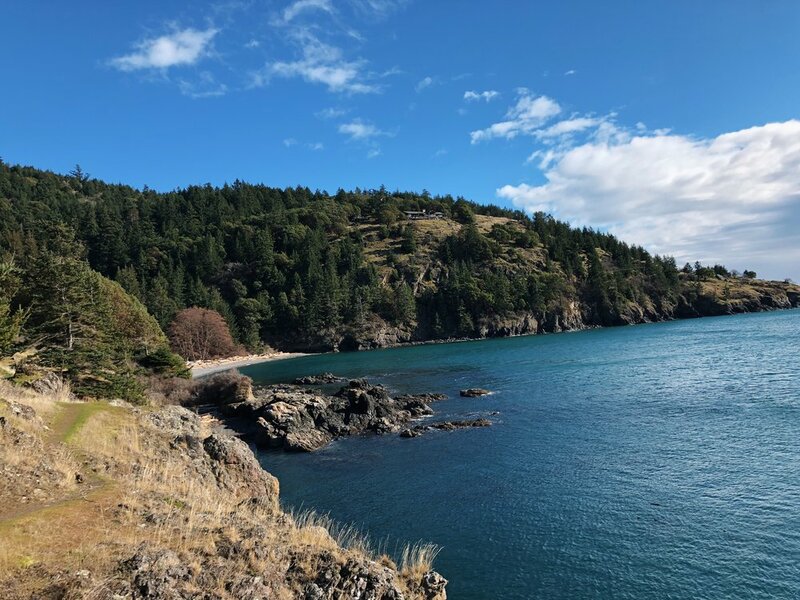 We have been to San Juan Island before (see the full post here!) but this was our first time really exploring the North/West portion of the island and I must say, we have been missing out! 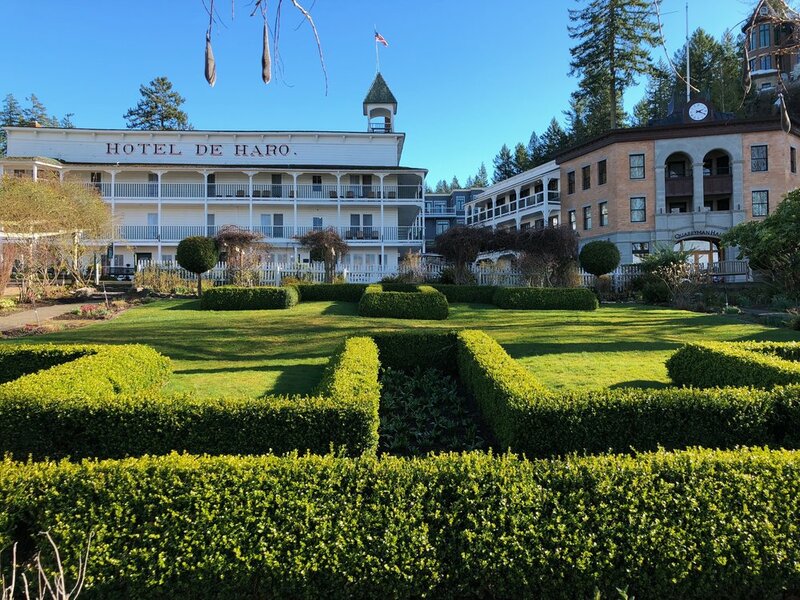 Roche Harbor is one of the most beautiful little towns I have ever seen, it feels like you've stepped back in time. 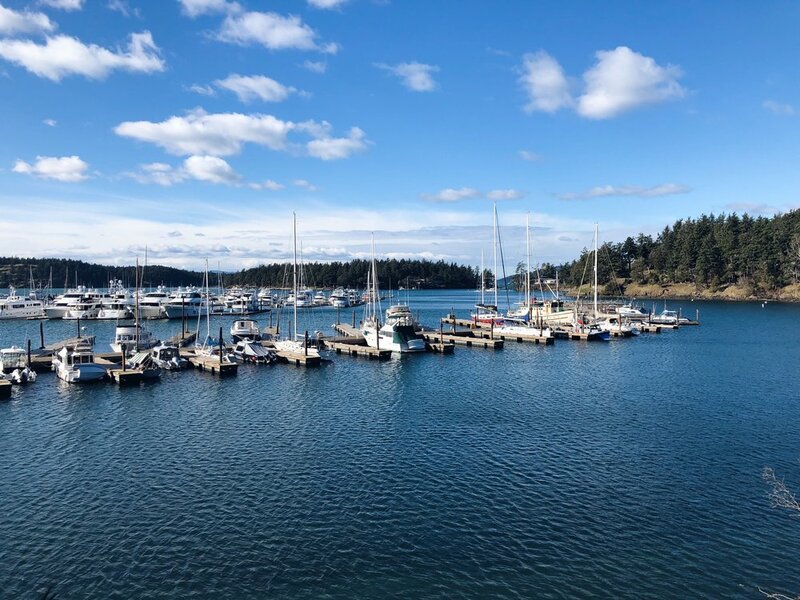 If you are ever in the Washington area, a trip to the San Juan Islands are well worth the traffic to get to the Anacortes ferry up North. 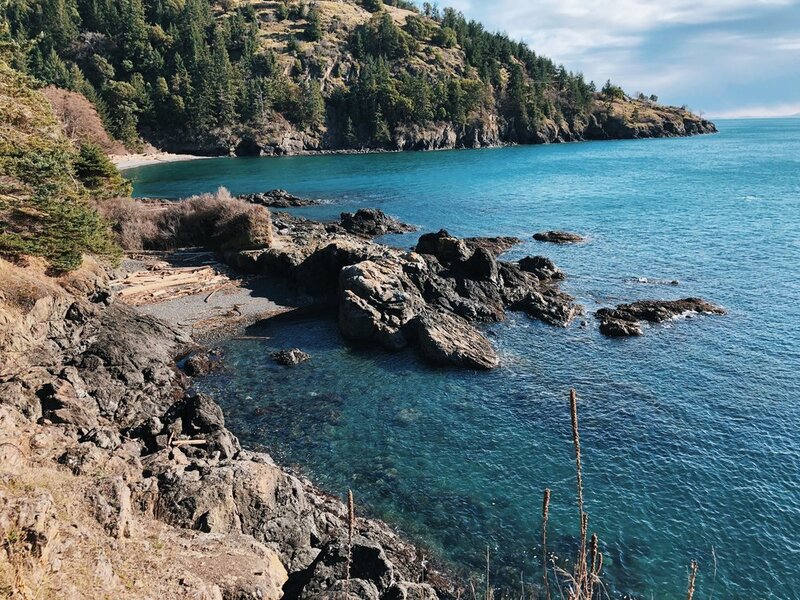 Plus there are loads of activities in the summer, everything from whale watching, zip lining, and kayaking, to hiking a national forest or sailing. Next week I will share all of the tips and tricks I've learned from the past couple of years traveling for work so stay tuned!! And as always, follow along with us on IG @clockingoutblog.